Note to Readers: The following essay is an excerpt from The Rational Walk’s forthcoming report on Berkshire Hathaway entitled Berkshire Hathaway: In Search of the Buffett Premium. The report is available for pre-order and will be released in March 2011. Pre-order customers will receive a complimentary copy of The Rational Walk’s 2010 Berkshire Hathaway Briefing Book for immediate download. The typical chief executive of a major American corporation may have a demanding job, but his or her efforts tend to be mostly anonymous from the perspective of the average citizen who does not closely follow business news. The exceptions involve a handful of “celebrity CEOs” who have name recognition similar to the most important political and cultural figures in society. Individuals like Steve Jobs, Bill Gates, Jack Welch, and many others are widely recognized and almost synonymous with the companies they have been associated with. 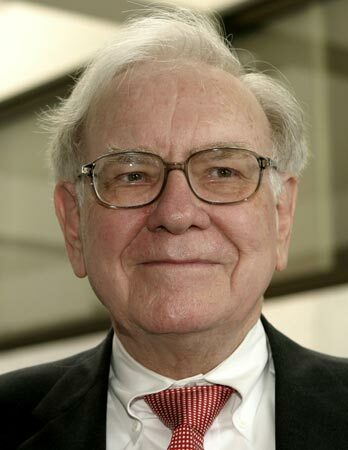 Warren Buffett is perhaps the most visible example of a CEO who has captured the attention of the public at large. During the height of the financial crisis in the fall of 2008, Mr. Buffett’s comments on the economy were accorded as much attention as the pronouncements from the White House, Treasury, or the Federal Reserve, and perhaps more so. Through his investment activities, Mr. Buffett had the power to bestow a “seal of approval” on businesses like Goldman Sachs and General Electric that meant far more to markets and investors than any amount of bailout funds from the government. Given Mr. Buffett’s investment track record, name recognition, and obvious management skills, it is unsurprising that investors viewed his eightieth birthday in August 2010 with trepidation. While Mr. Buffett is reportedly in excellent health and has no plans to step down as Chairman and CEO of Berkshire Hathaway, the human condition makes it obvious that at some point the company’s succession plan will be triggered. While it is self-evident that Mr. Buffett’s successor cannot possibly replicate his skill set, it is not satisfactory to simply make this observation and conclude that Berkshire Hathaway will not continue to prosper in the future. While many executives may take satisfaction in the fact that they cannot be replaced, the truly great manager is one who builds a business and corporate culture that can be sustained by successors. Mr. Buffett has certainly attempted to do so, but has he succeeded? Contrary to popular belief, Berkshire Hathaway is not simply a closed end mutual fund managed by Warren Buffett. While Mr. Buffett’s unique skills have created tremendous value for shareholders over the past forty-six years, the company has evolved into a holding company owning subsidiaries engaged in a wide range of activities. Berkshire’s most important operating segment is insurance. GEICO, General Re, and Berkshire Hathaway Reinsurance Group form the core of the insurance subsidiaries and generate large amounts of “float” that can be invested on behalf of shareholders. Berkshire’s other subsidiaries are engaged in a wide variety of manufacturing, transportation, utility, service, and diverse retail operations. Berkshire Hathaway’s subsidiaries are run as independent entities with managers responsible for operating decisions. Mr. Buffett is responsible for providing oversight for each subsidiary CEO but he has a reputation for having a hands-off management approach when it comes to operations. Capital allocation is another matter. Rather than delegating capital allocation decisions to each subsidiary CEO, Mr. Buffett takes charge of the free cash flow generated by each subsidiary and reallocates capital either across Berkshire’s existing operating subsidiaries, to investments in marketable securities, or by purchasing additional operating subsidiaries. This practice is a major competitive advantage, particularly when a capital allocator of Mr. Buffett’s caliber is in charge of the process. We will attempt to shed light on the factors that matter the most when it comes to evaluating Berkshire Hathaway’s business operations and estimating intrinsic value. Of course, this involves a careful analysis of Berkshire’s historical financial results and future prospects, but a critical variable involves the special skill set that Warren Buffett brings to the table. For the remainder of Mr. Buffett’s tenure at Berkshire Hathaway, shareholders will benefit from his unique and irreplaceable talents. No one can predict how long Mr. Buffett will remain at Berkshire Hathaway, but we can attempt to identify areas where his special talents are adding value for shareholders and will not be easily replicated by his successor. The question of whether Berkshire Hathaway’s stock price implies a “Buffett Premium” hinges on whether investors are paying a price today for the incremental value Mr. Buffett will provide to the company for an indeterminate number of years into the future. 1. Acquisitions of family-run businesses. Many of Berkshire Hathaway’s most successful acquisitions have involved family businesses run by founders who wish to protect their legacy and are attracted to Berkshire rather than to private equity buyers or the pursuit of an initial public offering. Sellers have often been willing to accept less than “top dollar” due to the benefits of selling to Berkshire. While a significant part of the motivation for these family run businesses will remain as long as Berkshire’s unique corporate culture remains intact, the intangible benefits of “selling to Warren Buffett” will not likely extend to selling to his successor. When Warren Buffett decides to purchase a business, the decision forever puts a “stamp of approval” on the legacy of the founder. It is nearly certain that this intangible ego-enhancing factor for potential sellers will dissipate once Mr. Buffett is no longer in charge of capital allocation. However, a mitigating factor is that as Berkshire grows, fewer potential acquisitions will involve buying businesses directly from founders or their direct descendants due to increasing minimum purchase sizes. 2. Opportunistic Investments in Times of Distress. When Goldman Sachs and General Electric agreed to the terms of Berkshire’s investments in the fall of 2008, part of the motivation involved a need for capital but Mr. Buffett’s “stamp of approval” was likely to have been an even greater factor. While Mr. Buffett’s successor will have the financial wherewithal to make similar commitments, it is questionable whether the intangible benefits of the cash infusion would be as beneficial for the recipients. Therefore, the terms of such investments may be less favorable. In addition, Berkshire’s Board of Directors and shareholders may not be willing to give as much latitude to the next CEO when it comes to making such investments. Although the 2008 financial crisis is already receding into the rear view mirror, at the time of Berkshire’s cash infusions into Goldman Sachs and General Electric, few perceived the investments as “slam dunks”. 3. Overall Capital Allocation. Berkshire Hathaway’s unique approach to capital allocation allows the company to redirect free cash flow from subsidiaries that lack growth prospects into subsidiaries or new investments where attractive opportunities exist. Mr. Buffett’s role at Berkshire will be split into three parts in the future: Chairman, Chief Executive Officer, and Chief Investment Officer. While the selection of Todd Combs to serve as one of potentially many investment managers received a great deal of attention in October 2010, the question of who will succeed Mr. Buffett as CIO is still an open question. While it is very reasonable to assume that a capable individual will take over, it is unreasonable to assume that his or her capabilities will approach Mr. Buffett’s when it comes to capital allocation. In addition, the working relationship between the future CEO and CIO is also unknown at this point and close collaboration will be required to optimize results. Good working relationships of this type are rare and often fraught with peril. An important question facing investors is whether Berkshire Hathaway’s current share price implicitly assumes that Warren Buffett’s irreplaceable skills will be available to the company for a number of years into the future. While achieving exact mathematical precision for the extent of this added value is not possible, we can use conservative assumptions when evaluating each of Berkshire’s areas of value. If investors use conservative assumptions when deciding how much to pay for shares, substantial upside may be realized over the coming years as Mr. Buffett continues to add incremental value beyond what his successor could deliver. Rather than paying a “Buffett Premium”, investors may receive a free “Buffett Option” for any superior achievements yet to come in Mr. Buffett’s career. ← Why Are Value Investors Willing To Share Ideas?